I will be turning 65 in August, I was told that I would get Medicare – Obamacare? Retired military. will be 65 Feb, When sign up for MEDICARE, what parts do I need? FROM US 31 GO WEST ON ALTO RD 1/4 MILE PAST LOWES. OFFICE IS ON THE SOUTH SIDE OF THE STREET ACROSS FROM VIDEO STORE. Show Up Early: Most Social Security offices can sometimes be crowded. 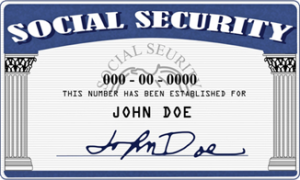 You must understand every person needs to provide Social Security number when required by a business or government entity. So a lot of people may be at the Social Security office with questions or concerns related to their Social Security number or benefits. Be prepared to wait: With lots of people at your local Social Security office, if you are late you may have to wait a while. The best way to avoid the long lines at the social security office is to get to the office early. Be prepared with your Documents: If you are applying for your Social Security Card or any other Social Security benefits, be sure to take with you all your required documents. Bring a snack: With the often long wait, you may get hungry. If you do, you can snack while you wait in the Social Security office. You don’t want to miss your number being called because you went out to buy a snack. Keep a Cool Head: With lots of people at the Social Security office waiting to be seen it’s easy to get frustrated and loose you cool. Remember that the social security office counselors are there to assist you. Keeping a cool head and being courteous will help speed the process along. Above all, enjoy the day. You may meet meet a friend while you wait. DISCLAIMER: This site is NOT affiliated with any government sites or agencies, this site is for informational purposes only. If you have questions or issues about Social Security then you need to contact your Local Social Security office. We are not social security employees, officers or agents.